In my house, death and duty taste like cheese quiche. Maybe in your house, death and duty tastes like lasagna or deviled eggs, collard greens or Jello mold, but in my family, death and duty has the distinctive taste of eggs and Swiss cheese, with the smell of just a little bit of spice: mustard powder and dill. At the news of a death, my mother would bake a quiche, since there were always eggs and a pre-made Pillsbury piecrust in the fridge. There was always a yellow tin can of Colman’s mustard and always a plastic jar with a red lid of dried dill that was probably purchased in 1986. I need no recipe. We knew what to do when someone died. Maybe this routine for death was familiar with Mary Magdalene, Mary the mother of James, and Salome too. Go to the store, and go get your supplies that now have the distinctive association of smelling like death, meet up on the corner in-between all your homes, and walk to the graveyard together. The Greek word used for “spices” in Mark’s gospel is αρωματα, (aromata) and since the Jewish people didn’t embalm their bodies, the spices or aromatics, were simply an act of love to cover the smell of a body starting to decompose. After all those quiches, mustard powder and dill will always smell like death to me. Duty and routine provide some stability when our worlds are turned upside-down by death. But this death, the death we look for this night, despite all the warnings that it was coming, was not routine. Whether you came tonight out of a sense of duty or seeking something more, we all gather this night to look into the tomb together. Not alone, but like the women, together. The Easter Vigil harkens back to our Jewish roots, as the next day starts at sunset the night before. Like generations who gathered before us, our Easter Vigil happens at night, because at the earliest possible moment, we gather not in isolation but to look into the tomb, together. The soldiers are gone. The stone is gone. The women look into the tomb, and the body is gone. Nothing is where it should be. Mark is the Gospel for our doubts, the story for those of us who look at the empty tomb not with joys and halleluiahs but with terror and amazement. We are not assured of Jesus’s resurrection with the smiling Messiah waving outside the tomb. We are not treated to a Hollywood ending, reuniting the scared and scattered disciples with the Good Shepherd. No, (in the words of Matthew Skinner) “Mark’s not interested in proving that Jesus rose. Mark puts readers smack in the middle of an existential crisis: a faith crisis.” Can you believe in what is not there? The women run, their dresses getting caught between their legs. Their myrrh and nard, mustard powder and dill, are tossed, forgotten and scattered along side of the road. “Terror and amazement had seized them.” It’s the combination of these two emotions- terror and amazement, or in Greek “τρόμος καὶ ἔκστασις”/ tromos kai ekstasis. Trembling and ecstasy, terror and amazement. Sometimes it causes us to tremble, tremble. In the Gospel of Matthew, Easter morning is marked with an earthquake. In Mark, the tremors are internal to the women. But of course they are seized with terror and amazement! Every death interrupts our routines, but this, this was even bigger. Anna Carter Florence says, “If the dead don’t stay dead, what can you count on?” The dependable duty of death is disrupted at Christ’s tomb. Death does not end the story. The dead don’t stay dead. The consequences of an empty tomb are too much to imagine and so the women flee in terror and amazement. But even as they flee back home, the risen Christ has gone on ahead of us. 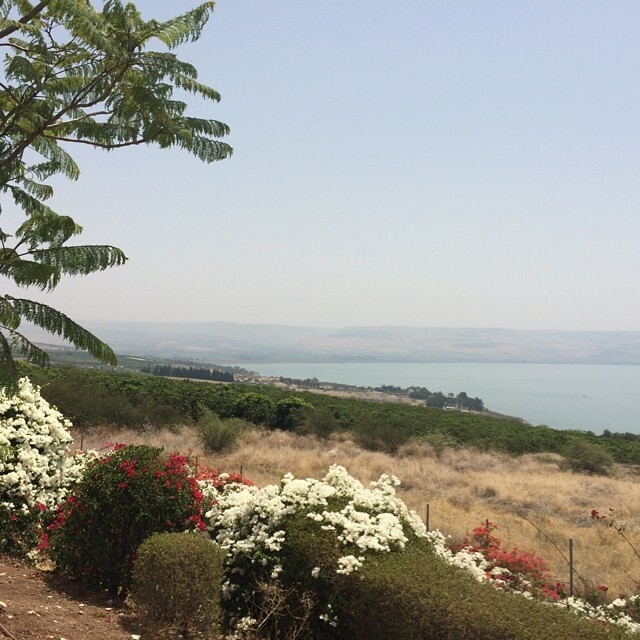 On this first day, this new day of Creation, the young man tells them, “he is going ahead of you to Galilee.” To Galilee- not to Jerusalem to worship at the temple, not back to his hometown of Nazareth, not to the desert to be alone, but back to Galilee- the site of the every day, the healing, the feeding, the teaching. At his birth, John the Baptist was the fore-runner to Jesus. Today, at his Resurrection, Jesus Christ is the fore-runner to our lives. The Good News of Easter isn’t just the resurrected Christ, but Christ going ahead. We who sang “Prepare the way of the Lord” in Advent, are now having the way prepared for us, a path to freedom and life abundant. He goes ahead of us. The Risen Christ goes ahead of us into Monday. Into our everyday. Into the classroom, into the office, into the courtroom, into the hospital, into the nursing home. Into the traffic jam, into the hard conversation, into the waiting room, into your home. 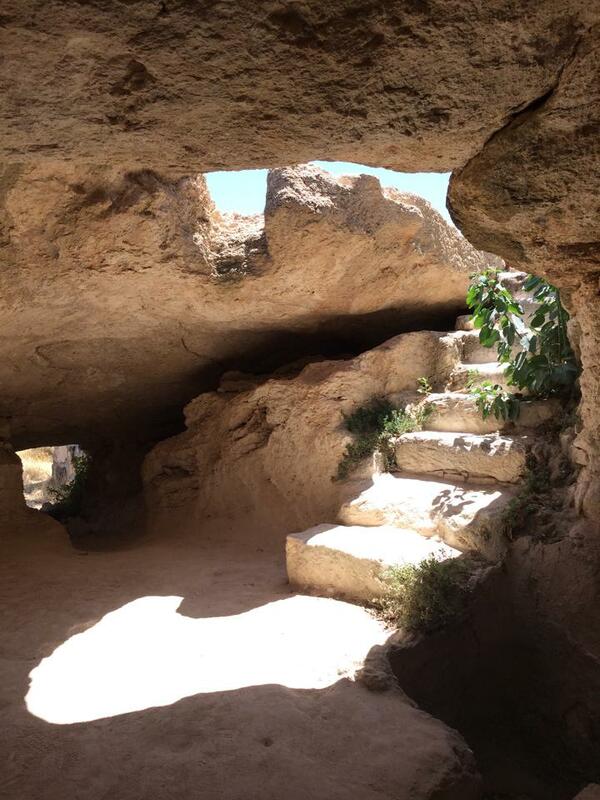 We look into the tomb to find “he is not here.” He is already going ahead of us to Galilee, to Longmeadow, to Chicopee, to Springfield, to Agawam. He is already going ahead of us to Tehran, to Nairobi, to Cairo, to Aleppo. He has endured rejection and suffering, death and the grave, and so knows the path we are to travel. We do not go alone. Our security isn’t in one who stays nicely and dependably put in the tomb, but in the One who goes ahead of us, who clears a way where there is no way. This is the test of faith tonight: Can you look into the empty tomb and trust that Jesus has gone ahead of you into your life? Can you believe, even for a moment, that all the stories of God’s provision include even you? Can you trust that the God who delivers the Israelites from slavery also delivers you from whatever keeps you bound? Can you try on the idea that our God goes ahead of us to Galilee? If that small, orange ember still glows among the coals, can you let the Spirit blow through you this night to kindle a new fire? If the smell of death has clung to your nostrils, can you leave your spices by the side of the road and follow the one who himself knew our suffering and death? The promise of Easter is this- Christ is going ahead of you. We do not walk this way alone.